Original thread vanished, so here's a new start. Can’t seem to trim this further. 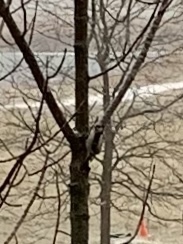 Was checking on the snowstorm and discovered a woodpecker. I am able to see the video. Imgur seems to be blocked fur you. I use Chrome as my default browser, and I don't see it either in the post itself but it works fine in Safari. However, I can see it fine in both browsers (esp Chrome) when I copy/paste the full URL in the browser. I think it's a browser/OS behavior. Here is a close up. Though woodpecker is not really visible n this. 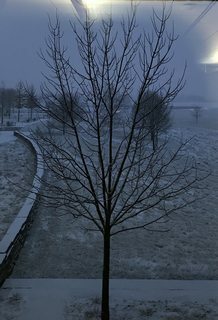 And the same tree on New Year’s Eve. No woodpecker this time. So kept it a jpg.